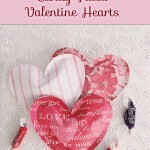 This is a quick and easy Valentine’s Day craft that is great for tucking in a note and some candy! 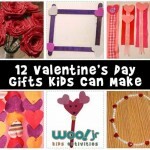 It’s also a no-sew felt craft, so you can make a whole bunch of these in record time. 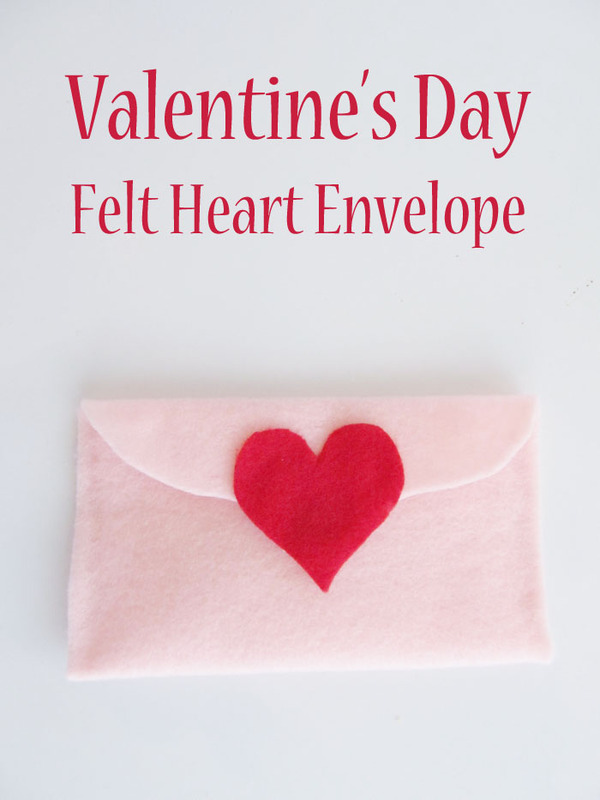 Make a Felt Heart Envelope for your Valentine’s Day Cards! 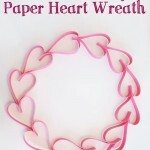 Start by cutting a rectangle of felt that is as wide as you want the finished envelope to be, and about twice as long. 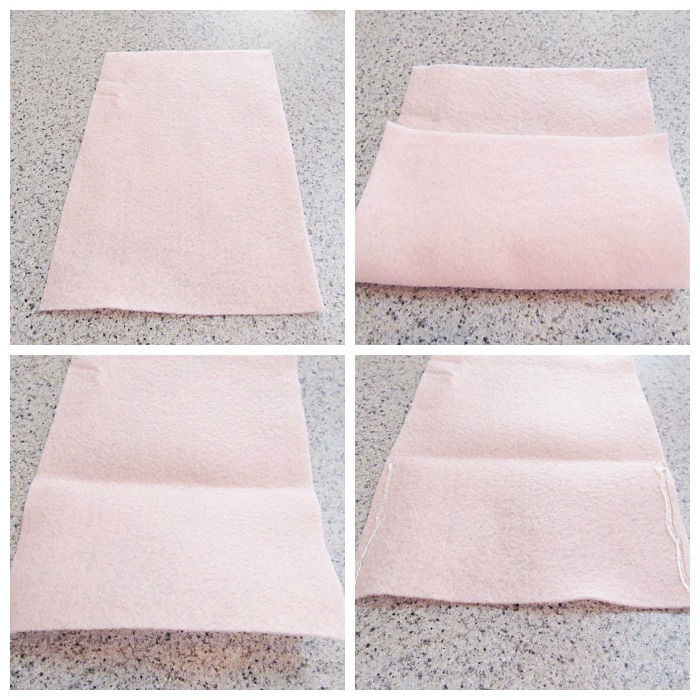 Fold the bottom two-thirds of the rectangle up, crease it, and unfold. 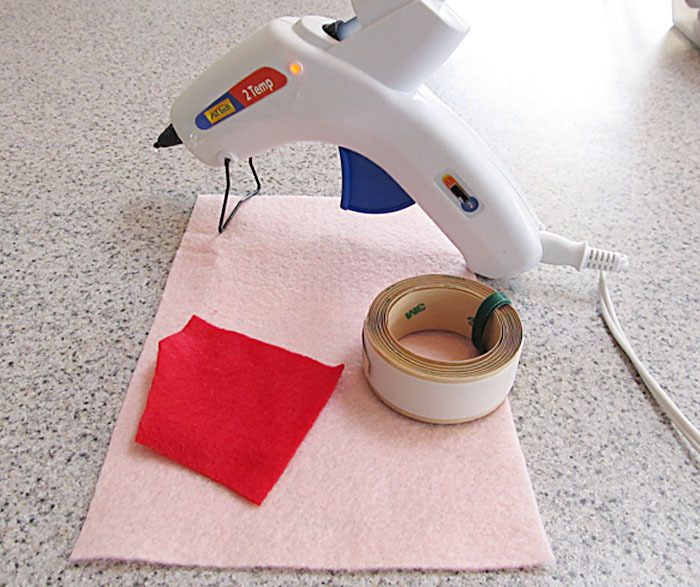 Run a line of glue from the crease down each side of the envelope as shown. 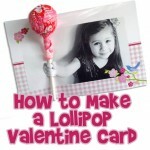 Fold the bottom of the envelope up, and press the edges to seal the glue. 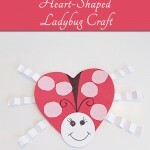 You can leave the top flap as is, or cut it into a triangle or a fancy design like I did here. 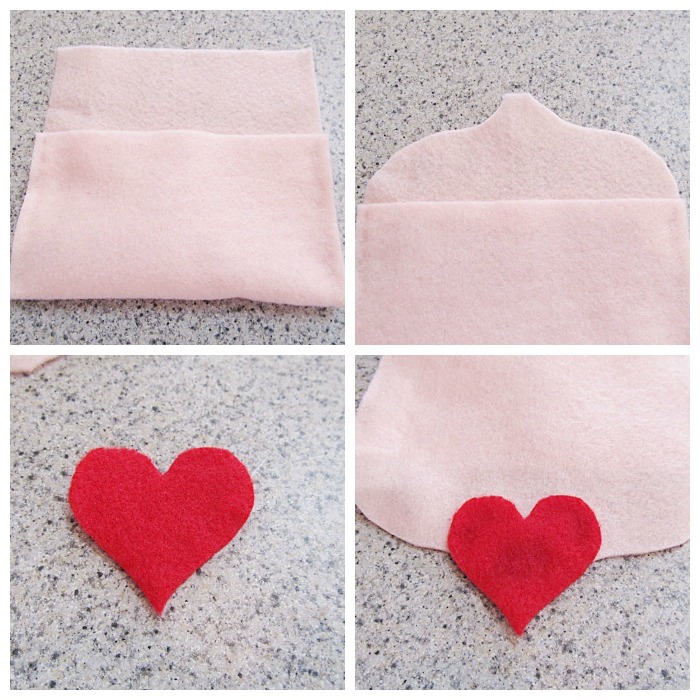 Next, cut a heart out of your other color of felt, and glue it onto the back of the top flap as shown. Cut two pieces of velcro to make the closure for the envelope. Glue one piece to the underside of the top flap, and the other piece onto the envelope. Make sure they meet up when the flap is closed! You did it! 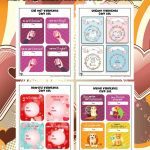 Now have fun giving these Valentine envelopes out to family and friends!